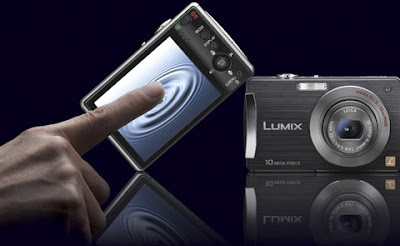 One of my online co-blogger is wishing to have her dream digital touch screen camera. I hope and i know she can have this kind of camera one day. She's really dreaming to have it. Then i search online about the looks of this and yes cool and nice. She told me in U.S this is almost $300 don't know here in Pinas. This entry was posted on 1:30 AM and is filed under Digital Camera , Personal , Touch Screen Camera , Touch Screen Digital Camera . You can follow any responses to this entry through the RSS 2.0 feed. You can leave a response, or trackback from your own site. Thank you for useful information. Very beautiful picture.